ONE Smart Control connects multiple technologies under one roof. It acts as the brain of the entire technical installation. By communicating over the existing electricity network, the installation turns electrical cables into communication highways. 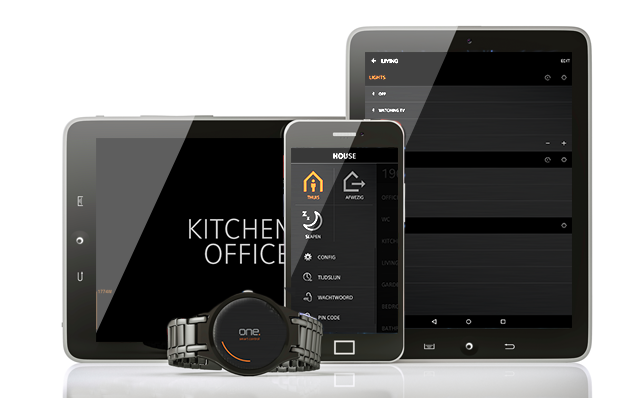 ONE Smart Control aims to make smart living easily accessible to all. This means that more people can live safely, comfortably and efficiently in energy terms, in a way that is both intuitive and smart. ONE Smart Control not only carries out energy monitoring, it also provides all the comfort functions. It is the only solution on the market to achieve all this in an integrated manner.